Tamannaah Bhatia known as Tamannaah, is an Indian actress who predominantly appears in Telugu and Tamil films. She has also appeared in Hindi films. In addition to acting, she also participates in stage shows and is a prominent celebrity endorser for brands and products. In 2005, she made her acting debut in the age of 15 in the Bollywood film, Chand Sa Roshan Chehra and appeared in Abhijeet Sawant album song "Lafzon main" from the album Aapka Abhijeet which was also released in the year 2005, before working in Telugu cinema and Tamil cinema. 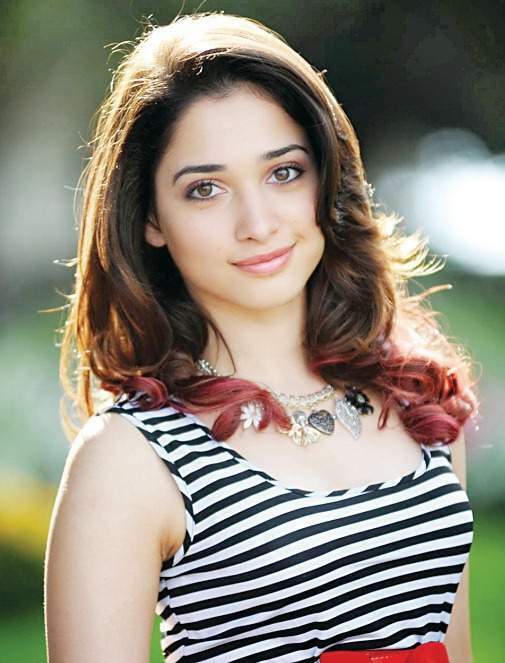 In the same year, Tamannaah made her Telugu film debut in Sri, and the next year she appeared in her first Tamil movie, Kedi. In 2007, she starred in two college-life-based drama films, Happy Days in Telugu and Kalloori in Tamil. Her projects include the Tamil films Ayan (2009), Paiyaa (2010), Siruthai (2011), Veeram (2014) and Telugu films include 100% Love (2011). Other films include Racha (2012), Thadaka (2013), Baahubali: The Beginning (2015), Bengal Tiger (2015) and Oopiri (2016), Baahubali 2: The Conclusion (2017). She thus established herself as one of the leading contemporary actresses in Telugu cinema and Tamil cinema. She is one of the highest paid actresses in South Indian cinema. She has acted nearly 50 films in three different languages. She is the first actress from India who was nominated at Saturn Awards for Best Supporting Actress. She also received "Dayawati Modi" Award. This award is among the highest awards in India in the field of Art, Culture and Education in 2017. She also received a Honorary Doctorate from CIAC, in association with KEISIE International University, South Korea for her contributions to Indian cinema.